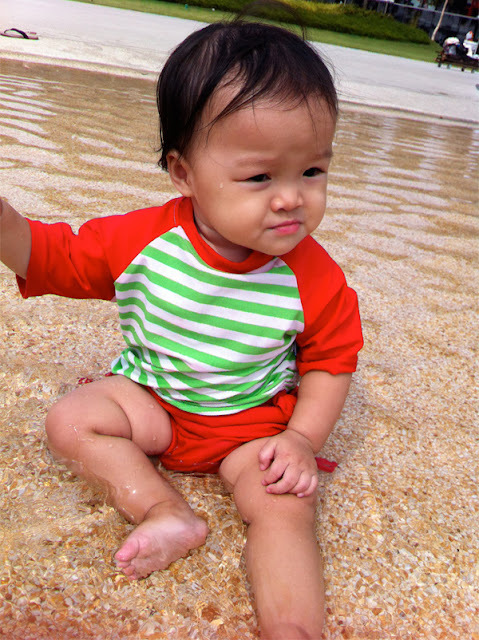 Hello Little Sunshine - Singapore Parenting and Lifestyle Blog: Water Fun at Vivo City! 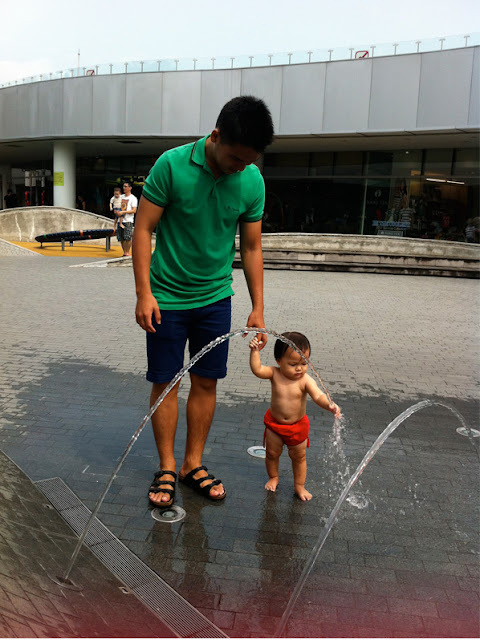 Water Fun at Vivo City! I know I really need to keep up to date with my blogging, but it can be quite tricky esp with a one year old roaming around the house and with lots of errands to do + important matters to settle. Being an adult is so tiring and I'm sure every adult out there would have days where they wished they were just a kid again! No bills to pay, no important decisions like housing to make, there's always food at the table, if you need money just go to your parents, and you don't have to deal with any big mess that you've made, cos your parents would usually pick up the pieces for you, both literally and not. Well, on days like this..I like to open up the photos on my phone or laptop and remind myself of the happier things in life, and why exchanging my youth + sleep + freedom for parenthood is so rewarding. It never fails to make everything about a bad day go away! These were taken at the water area at Vivo City. Only the one with her sitting down was at IKEA. Babygirl really enjoyed it, though it was really quite warm. She totally KO-ed after, so I would say it was a good workout for her! Strongly recommend parents to bring their kids if you guys run out of activities. It's free so that's a bonus! Also, they've got a baby room near the area for you to change the kids. There's also a breastfeeding area inside. For the older kids, there's also other playground facilities and motorised cars and animals for them to ride on. Looking forward to bringing Kaitlin to play all these when she's older.